Don't worry, I recommend a software to you----Dr.Fone for Android. 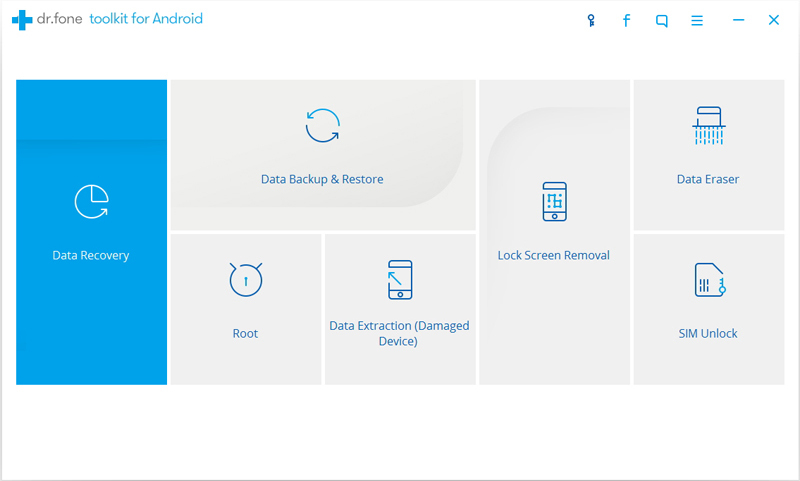 Android Data Recovery is a powerful data recovery software. It can almost calmly deal with a variety of data recovery issues. It supports almost all Android device models and a wide variety of Android operating systems, and it fully compatible with operating Android system. It can recover deleted or lost contacts, sms messages, photos, video, audio, WhatsApp history, call history and various documents. 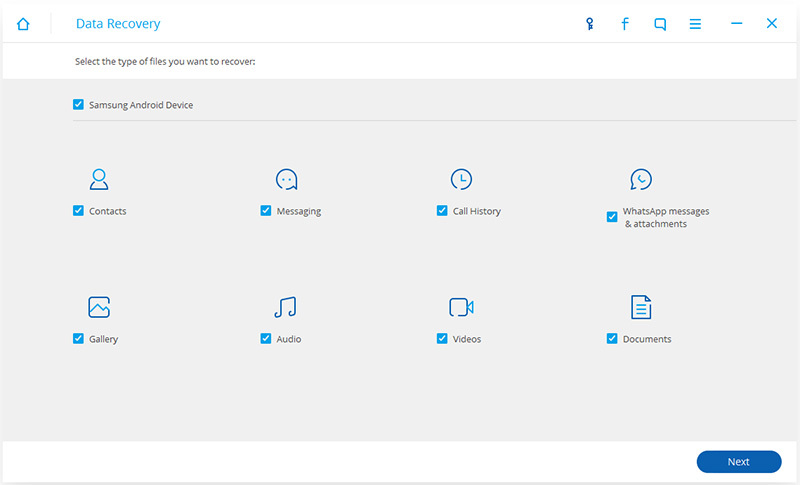 So let me tell you how to restore the deleted contacts from Samsung S7/S7 Edge. Step 1 run the software and connect your phone to your computer. Download, install, and launch the Dr.Fone for Android on your s7 edge and connect to your PC via the USB cable. In order to ensure that the program can detect your S7 edge, you need to enable USB debugging on your mobile phone. Different types of Android mobile phone’s operating technique is different, please according to the actual situation to operate. 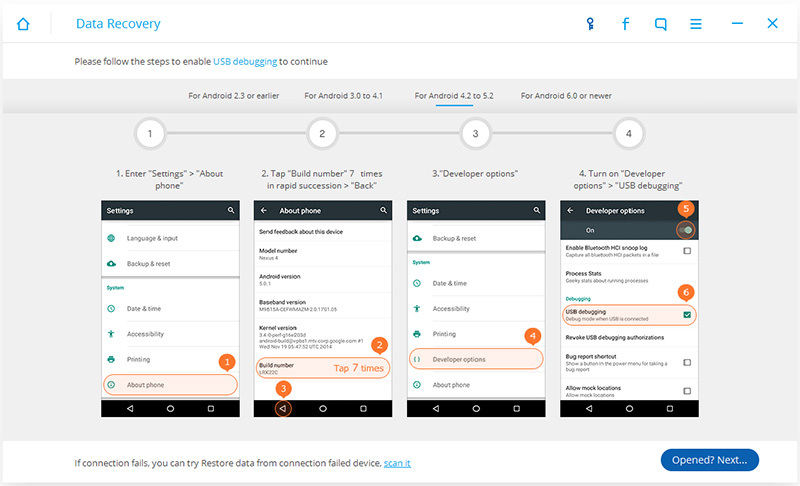 When you successfully enable USB debugging, the program will take the initiative to identify your Android phone. Then, you should click on "next" so that the program can analyze the data in your S7 edge. In order to make the whole recovery process successfully completed, please confirm that the cell phone battery at least 20% of the electricity. Tips. If your Android device is a rooted one, you should allow the program Superuser authorization on the screen: just do as what you're asked to do by the instruction in the window of Dr.Fone for Android. Since you only need to retrieve the deleted contacts, then you should check the "contact". Then click “Next” to enter the next step. At this time, you will be asked to select the scan mode. There are two models for you to choose, one is “Scan for deleted files”, the other is “Scan for all files”. According to your needs, you need to choose the first one, which is “Scan for deleted files”. Finally, click on the lower right corner of the "Start". At this point, the program will start to show your contacts in the window. Then enable the button on the top of the window "Only display deleted items". 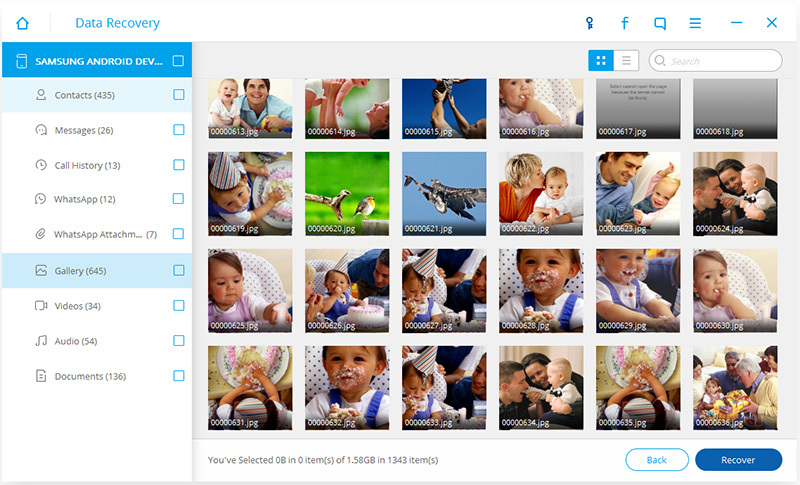 At this time, the deleted contacts will display one by one, check the contacts you want to restore. Finally, click on the lower right corner of the "Recovery".